Advanced calling features are available, at the indicated costs, with our phone only package. 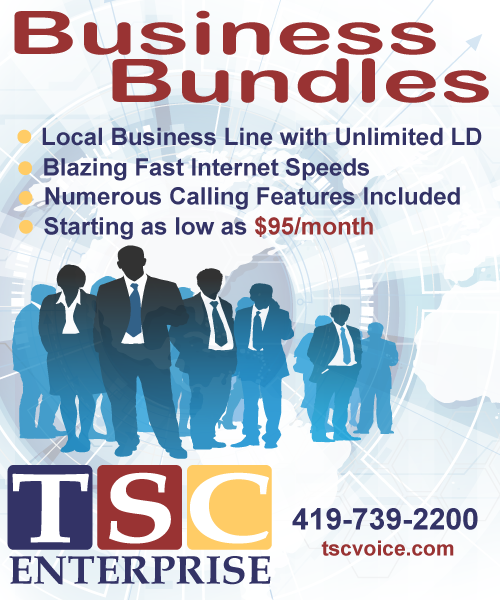 Many of these advanced calling features are included free with our multi-service packages. Selective Call Forwarding allows you to create a list of phone numbers that are to be forwarded when they call you. All other calls will ring to your phone in a normal fashion. This feature will eliminate having to wait on important calls. This feature can be activated and deactivated at your discretion. Selective Call Rejection allows you to create a list of phone numbers from which you do not wish to receive calls. Those numbers are sent to a recording that informs them you are not taking calls at this time. This feature allows you to block callers you do not want to speak to. Selective Call Acceptance lets you screen incoming calls by creating a list of numbers that you are willing to accept calls from. All other callers are sent to a recording that informs them you are not taking calls at this time. This feature allows you to only let through your most important calls. Make changes to your Selective Call Acceptance list. When Per Line Blocking is on your line your name & number will not appear on Caller ID boxes when you call someone with that service.  Per Line Blocking must be enabled on your line by calling the TSC Office. Cost: Per Line Blocking is $0.50/mo for use on a published number, or free if applied to an unpublished number. Listen for the confirmation tone, followed by a normal dial tone. The person you’ve called will be able to see your number displayed on their Caller ID box or telephone. Anonymous Call Rejection allows you to reject calls that appear on Caller ID as Anonymous on a Caller ID device. This feature allows you to block calls from parties who are blocking their number. The calling party will receive a recorded announcement indicating that the person they called does not wish to receive calls from callers who choose to block their number. Call Trace allows you to initiate an automatic trace of an obscene or nuisance call. Upon confirming a successful trace the customer must contact their local law enforcement agency to obtain information on the trace and to have it investigated further. Only Law Enforcement can pick up the information from TSC. *NOTE: Call Trace can only trace information on the last incoming call. This feature is included with our telephone packages. Cost: You can activate Call Trace on a Price Per Usage basis of $5.00 per trace, to a maximum of $25.00, or as a $3.00 monthly fee. Hang up after receiving the annoying call. Immediately Lift the receiver and listen for dial tone. Listen for tone or announcement. Call your Law Enforcement Agency if you want the call to be investigated further before the end of next business day. Priority Ringing allows you to program your phone line to ring with a special pattern whenever you are called by a select list of numbers. This feature can prioritize your calls, helping you identify special or important calls. Make changes to your Priority Ringing list. When a Toll Block is on your line you will be unable to place any long distance calls from your phone. Toll Block must be enabled on your line by calling the TSC Office.